This is the next post in my series discussing Las Vegas cases which involve supervised child visitation. My last post served as an overview for topics to come and explained why a person might be ordered to supervised visitation. In this post I will explain what a person can expect during their first visitation session. Supervised visitation is Court ordered and the facilities that offer such visitation do so only with a referral from the Court. A parent is not able to choose where their visitation sessions will take place. One example of a supervised visitation center is Donna’s House, which is sponsored by the Clark County Family Court. The purpose of supervised visitation is to allow the parent access to their child in a safe environment and to continue to support the parent-child relationship, while ensuring the child is not harmed in any way. Generally, at a supervised visitation, the noncustodial parent and the custodial parent will not see each other. The custodial parent will bring the child to one entrance, and the visiting parent will enter through a different entrance. The child and visiting parent will be brought into a large room, that may be occupied by other parent/child groups. A parent is usually allowed to bring food, toys, pictures, or other items for the child, but belongings may be checked by staff first to ensure all items are appropriate. There may be several monitors in a room, who will neutrally observe the interactions of the child and parent. Supervised visitation is not therapy; the monitors will only intervene if a problem occurs. Monitors will submit ongoing reports to the Court, letting them know the general nature of each visitation. One of the rules of supervised visitation, is that the parent is strictly instructed not to discuss ongoing court issues with the child during the visit. 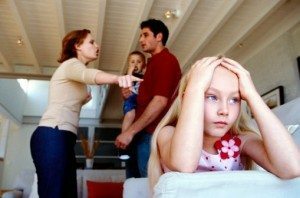 It is not allowed for a parent to make disparaging remarks about the child’s custodial parent to the child, or to “coach” the child about what to say during a psychological evaluation, trial, or official interview. It is highly encouraged for parents to plan activities that the child will enjoy during the visitation time. The visitation space will often have arts, crafts and books that parents can use to bond with children. Visitations will often go smoother if the parent makes a special effort to plan activities that the child has an interest in and that are developmentally appropriate. It is also important for noncustodial parents to keep all scheduled visitations that they have, and to never cancel without notice. Failing to show up is not only harmful to the child, but sends a message to the Court that the parent does not take their parental duties seriously. If you are ordered to attend supervised visitation with your children, it is a good idea to be prepared. Contact our Las Vegas child custody lawyer today and ensure that your visitation goes as smoothly as possible.